Dress to impress in the Lotus Arlind sling-back sandal. 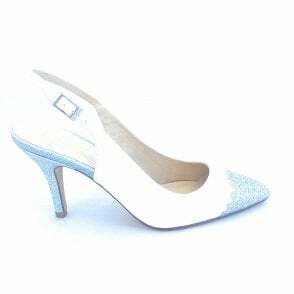 This striking ladies shoe features a navy upper with a cut out floral silver glitz design on the toe to accentuate the flattering shape of this style. An adjustable sling-back ankle strap ensures a perfect fit. Finished with a glamorous silver glitter stiletto heel.